Mforce Bike Holdings Sdn Bhd launches another local motorcycle label named WMoto or Wawasan Moto in addition to existing house brand SM Sport introduced in 2017. The first model launched by WMoto – Cub Classic 110 is a modern yet classic motorcycle with its own unique design. 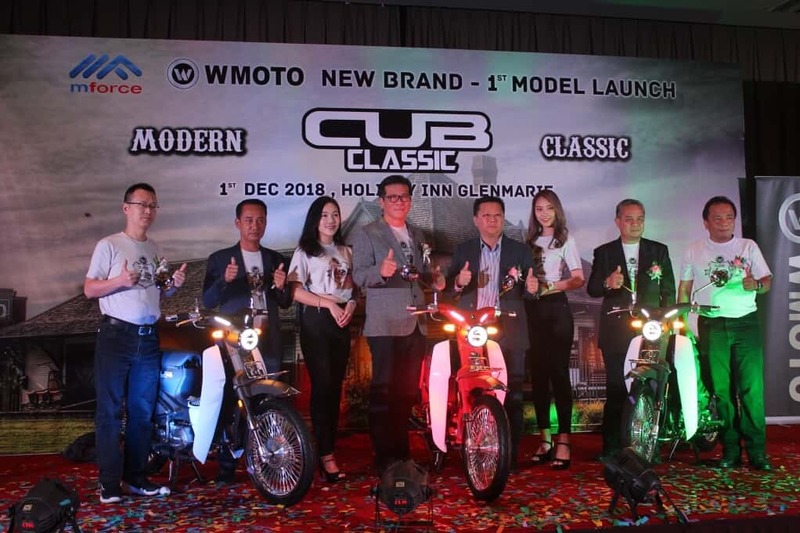 WMoto Cub Classic 110 has a 4-stroke, single cylinder, EURO 3 engine with an engine capacity of 109.2 cc with a maximum torque of 8.0Nm/5500rpm, whereas the maximum power output is 6.0k.W/7500rpm. 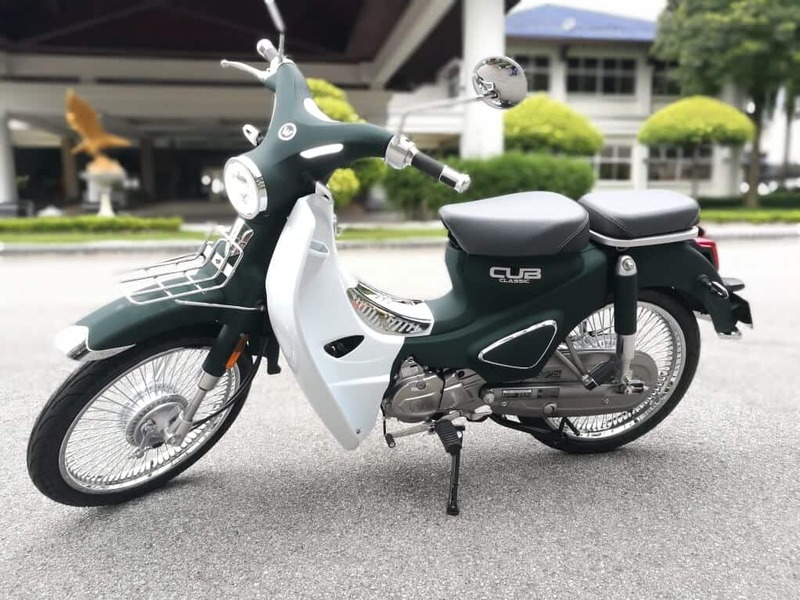 WMoto Cub Classic 110 is equipped with electric & kick starters which makes starting the vehicle even more convenient, a USB charging port for on the go charging and bright front and back LED lights to further enhance the safety of the rider. The rear seats on this bike is detachable which would allow the bike to function a single or double seater. Check out the quick video view of this cub classic. Braking is done with front and rear drum brakes. The WMoto Cub Classic 110 also comes with front USD forks & rear telescopic coil spring suspensions. The dry weight of this bike is 100kg with a fuel capacity of 4 liters. The W Moto Cub Classic 110 is available in matte red, matte green and matte black at Mforce dealer stores today and is priced at RM4,588.00. (excluding SST, registration fee and insurance. What do you think about this machine? drop us your thoughts at the comment box below and Feel free to share this post via the social buttons.